April 2019, Big Thompson Forestry Community Planning Event: Guest speakers, activities, and resources will lead the discussion on the Round Mountain Forestry Project, an Intro. to Forestry Planning, and Community led forestry planning discussions for the Big Thompson watershed. August 2019, Round Mountain Forest Health Demonstration Project tour: Join us for a field tour our the Round Mountain Forest Health Demonstration Project at Round Mountain trailhead. We will tour the project site, discuss forest ecology and needs, restoration design, and what homeowners can do on their land independently and with the help of local resources. 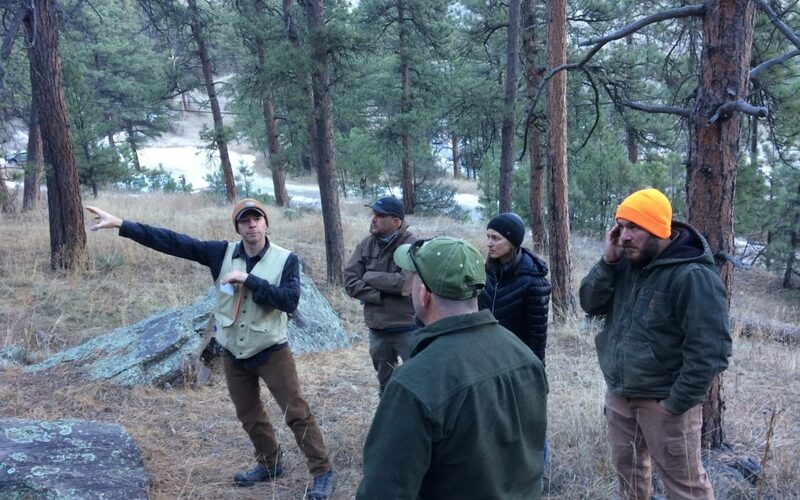 Background on the Project: The beloved City of Loveland Round Mountain trail received a face-lift this winter as Big Thompson Watershed Coalition and project partners team up to restore just over 14 acres of ponderosa pine forest. This project enhanced the resilience of this stand and its ability to withstand long term threats such as fire, extreme weather events, insects, and disease by strategically thinning the forest. We look forward to sharing completion of this project with local communities through informational workshops and site tours and hope that this project will spark discussion on wildfire resilience for those living and recreating in the Big Thompson and Loveland areas. Through these activities, we hope to enhance relationships and an understanding of needs between community members and fire and land managers. Moving forward we would like to support and enhance community initiated forest management plans and projects, helping both people and forests attain resilience for future fire and flood events.